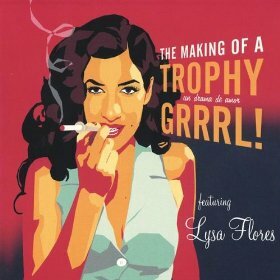 Lysa Flores has been a staple and a major voice in the Eastside music scene since the early 90’s. 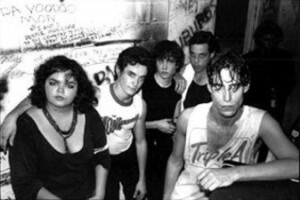 Her popularity as a musician and voice for Chicana artists hit a zenith after her scene stealing turn as the sister in the controversial film (for its time) “Star Maps.” She was also the music supervisor for the film which helped set the groundwork for the emerging Latin Rock explosion of the 90’s. Her exposure to the global music scene was in part due to her touring with El Vez, the Mexican Elvis, as an El Vette. Spending months overseas, and opening for David Bowie at one point, taught Flores much about the music business. Throughout the years, upon returning from, and in between touring the world, she started her own label “Bring Your Love,” played at various causa events for La Raza and even painted collector editions paintings at Self Help Graphics. The respect she earned as a talented singer, song writer and guitarist opened doors for her to work with X front man John Doe and drummer DJ Bonebrake, as well as Flaco Jimenez, Jonathan Richman, Bill Frisell, and David Hidalgo to list just a few. In other words this woman works non stop! Beat It like you never heard it before. The 80s. Debora Iyall. Romeo Void. Being that there’s been so much drama-for-your-mama on this blog lately I thought I would post something that might cheer some of us up. 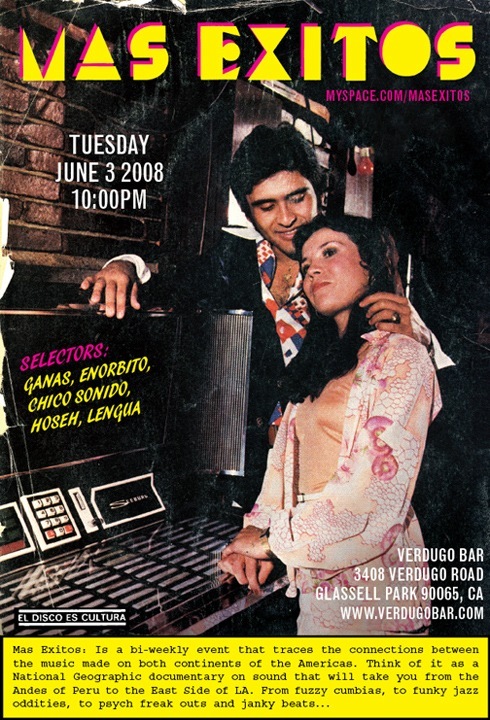 A friend of mine, with a few friends of his own, has just started this event at the Verdugo bar with music, as he puts it, “belongs in the neighborhood.” The Verdugo bar is in Glassell park. I’ll be there. Enjoy. Also, the Verdugo bar has an amazing beer selection on tap.